Note: The actual experience on the Gear VR gives you full 3D experience that’s very smooth, I used a screen recording app in my video which doesn’t record at full frame-rate and you are only seeing half of the screen. But you get the idea, just imagine the video I showed you with 3D experience and smoothness. As someone who has used the original Gear VR for the Note 4, I can tell you that the new Gear VR for S6 is indeed exciting. The biggest difference between the Note 4 version and the S6 version? Of course, since the Galaxy S6 and S6 Edge both have smaller screens but same 1440P resolution, you get higher pixels per inch (PPI). This translates into around 10-15% better resolution when you use the Gear VR. The new Gear VR experience with S6/S6 Edge is definitely better, it feels like 25% better actually. You can see more in detail and everything looks crisp and clearer. Not only that, the new Gear VR comes with easy-to-press, dedicated volume buttons on the right along with better design for eliminating fog. While I had to use an anti-fog for my Note 4 Gear VR, the new Gear VR gets virtually zero fog with no anti-fog applied. 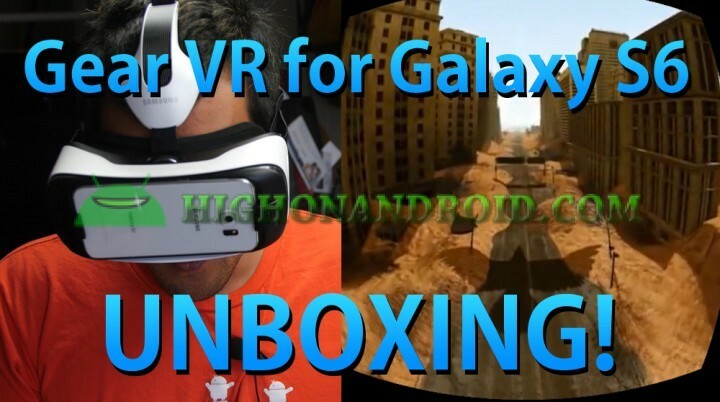 Overall, the Gear VR is definitely a fun way to extend the capabilities of your Galaxy S6 or S6 Edge so definitely get your hands on one if you want to try one of the best virtual reality headsets out on the market today. Any idea why I can’t seem to get this to work on my root Galaxy s6 edge? Previous story Zenfone 2 Unboxing! – 2GB vs. 4GB Comparison!